Pastor Larry T. Walthour II is a genuine and passionate lover of people who possesses an infectious spirit for equipping God’s people for excellence in Kingdom ministry. He has been preaching the Gospel of Jesus Christ since age 15 and has traveled extensively across the continental United States and abroad for his preaching and teaching expository, examination, expertise, and excellence. Pastor Walthour was licensed and trained in ministry at the Central Missionary Baptist Church in West Park, Florida under the leadership of the late Dr. Jacob McCrea where he served as Youth Director. His pastoral journey began in 1995, when he became the Senior Pastor-Teacher of the St. Andrew Missionary Baptist Church. In addition to his pastoral leadership in the State of Florida, Pastor Walthour served as a Board Member for the Florida General Baptist State Convention and has served as the Assistant Director General, Assistant Dean, Dean, and Vice-President at Large for the Florida General Baptist State Congress of Christian Education. He has also served as the First Vice-Moderator for the Atlantic Coast Baptist Association; Bible Expositor for the Atlantic Coast Baptist Association Ministers’ and Deacons’ Union; and Director of Congress Affairs, Dean, and President for the Atlantic Coast Baptist Association Congress of Christian Education. 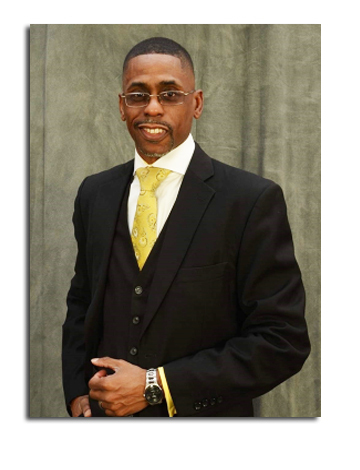 Pastor Walthour is nationally certified in five areas of study as an instructor for the Sunday School Publishing Board of the National Baptist Convention, USA, Inc. He has also been a published columnist for the Broward Times Newspaper and Total Eclipse Magazine. Pastor Walthour’s academic credentials include studies in Business Administration and Management at Florida Memorial College; a Bachelor of Biblical Studies Degree from Revelation Message Bible College; a Master and Doctor of Ministry Degree from Jacksonville Theological Seminary; a Doctor of Divinity Degree from St. Thomas Christian University. He is currently preparing for studies towards a Doctor of Philosophy Degree (PhD) in Clinical Pastoral Counseling and Psychology from Colorado Theological Seminary. On October 3, 2015, after 20 years of service at St. Andrew Missionary Baptist Church in Miami, Florida, Pastor Walthour was called to serve as Senior Pastor-Teacher of the Shiloh Baptist Church of York, Pennsylvania. With the help of his wife Michelle, Pastor Walthour’s ministry continues to extend beyond the walls of his pastorate. He and his wife are the proud parents of two daughters, one son, and two grandchildren.